Let’s face it. 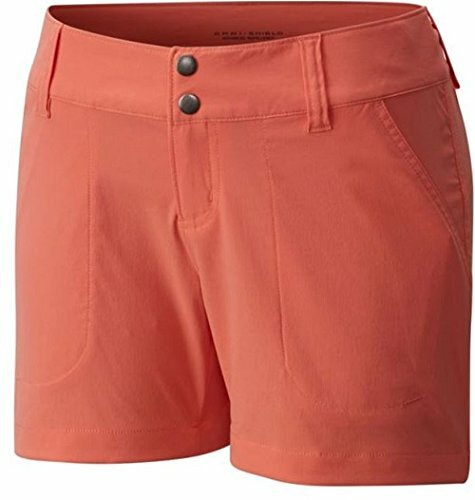 Hiking in the summer is miserable without the right pair of hiking shorts. 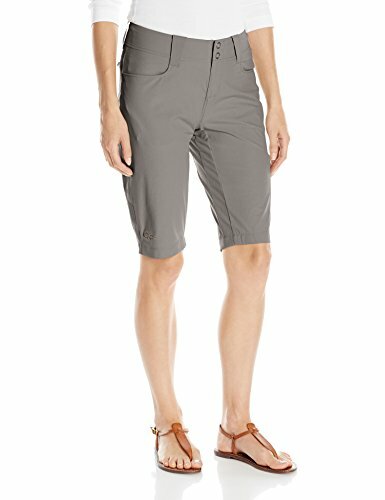 In fact, finding the best hiking shorts for women is no menial task. Summer hikes mean your legs sticking together, getting a mean sunburn and discovering dirt in crevices you didn’t know your legs had. Before you know it, you’re knee deep in a vat of sunblock trying to keep it together to salvage the rest of the afternoon. But those days are over. 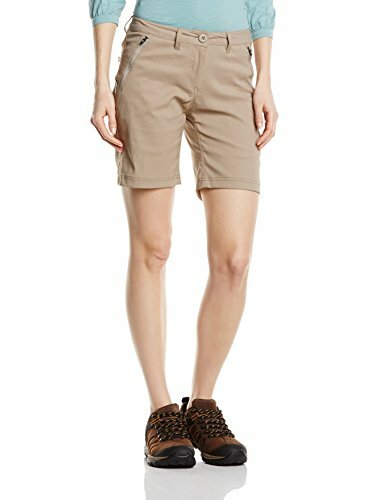 Hiking shorts come in a variety of lengths, all intended to save you from the sun, the heat and yourself. Our goal here at The Adventure Junkies is to make the search process easy for you. 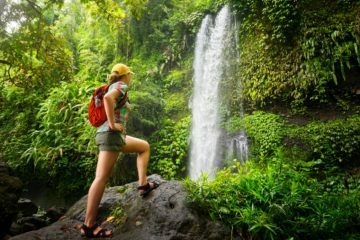 We’ll walk you through what to look for in a pair of hiking shorts, and show you our selection of the 10 best hiking shorts for women. 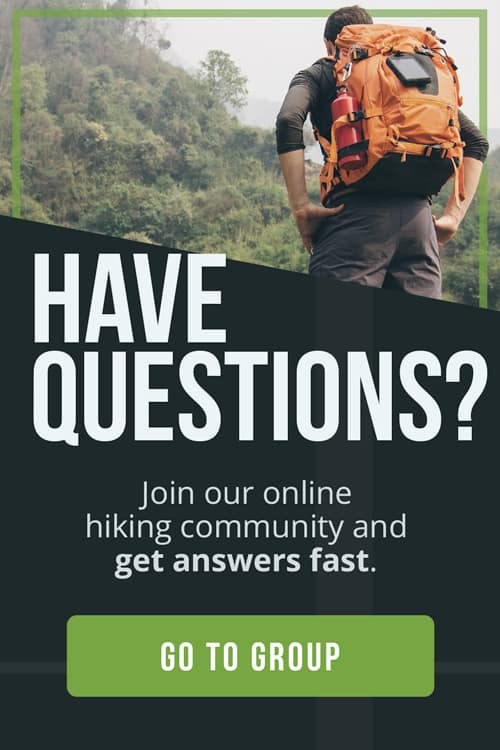 Most hiking shorts are made with technical material. 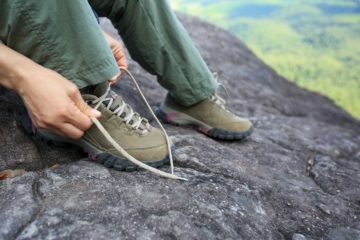 These kinds of materials are great for hiking apparel as they’re made to withstand the outdoors. The material should be comfortable, breathable and quick drying. A good material lets you move freely while leaping around boulders. It also protects you from sharp edges while you’re bushwhacking in the woods.Nylon is the most popular material used for hiking shorts. 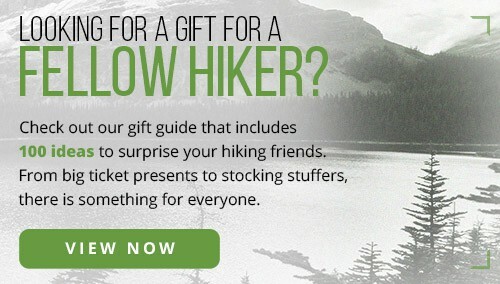 It’s great because it has all the qualities that make hiking shorts functional. It’s breathable, water resistant, and quick drying. It’s often combined with materials like spandex or elastane, to produce a comfortable stretch. Even better for those hot days when body parts seem to stick together for no reason. Different women prefer different lengths of inseams. 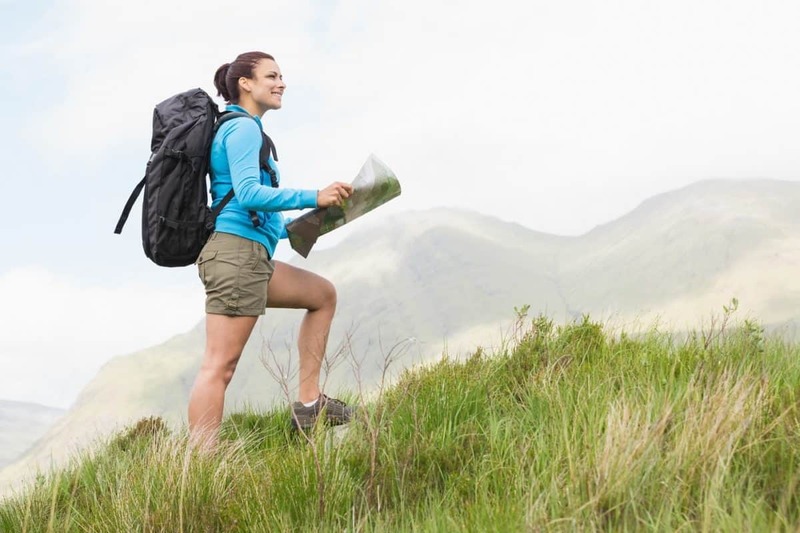 The most common length for hiking shorts is 5.” Most shorts come in a slim or relaxed fit. If they’re too slim, they may be too constricting. If they’re too loose, they may catch on stray branches. So, something in the middle is just right. 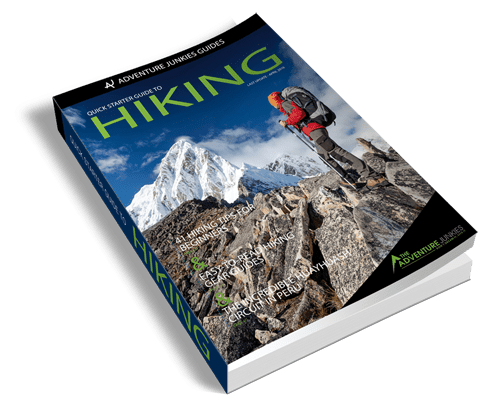 Most hiking shorts have some stretch since most of them have elastane or spandex in them. Most women prefer a higher waist, but not everyone. It’s important to find shorts with a waist that doesn’t rub against the hip belt of your pack. The most important thing is to find a fit that works for you. It’s important to protect your legs from sun damage. 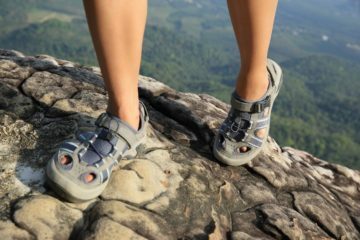 Since you’re probably slathering the bottom half with sunblock, you want to make sure your hiking shorts protect the top half of your legs.The sun protection rating for hiking shorts is akin to sunscreen. But it’s called Ultraviolet Protection Factor (UPF) instead of Sun Protection Factor (SPF). Aim for a pair with at least 30 UPF. UPF is determined by the material, treatments, design, and newness. 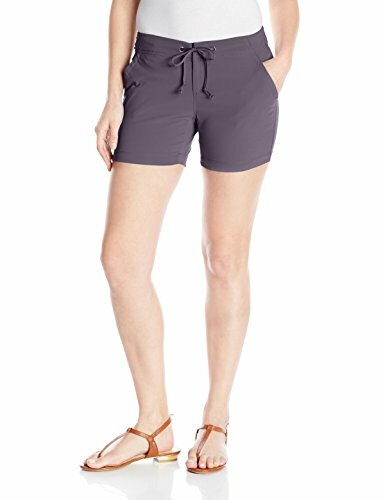 Most good hiking shorts have a rating of 50+ UPF. A UPF of 50 only allows 2 percent of solar radiation through. Not bad. 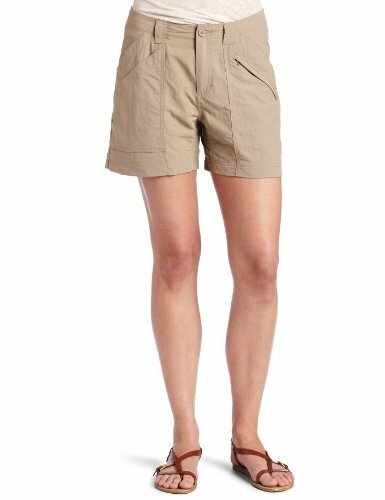 One of the most important features of any hiking shorts are the pockets. How many pockets are there, and where are they? 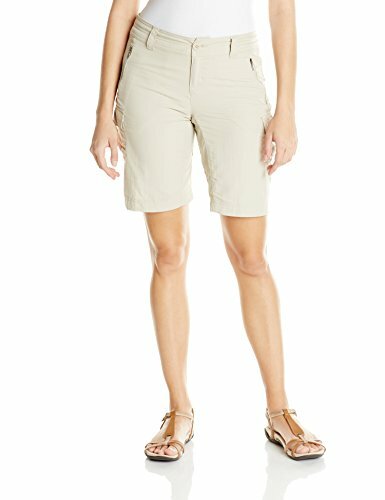 Women’s casual shorts often don’t have front pockets. Or if they do, the pockets aren’t functional. 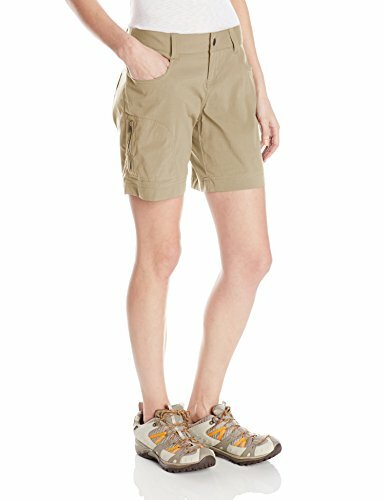 Hiking shorts usually have many functional pockets. So use them. Go on, stuff those sunglasses right in. 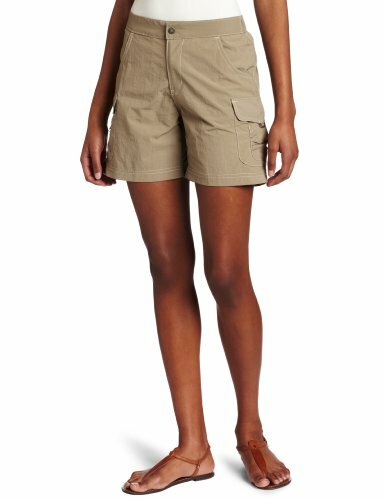 Most shorts will have front pockets, back pockets, and sometimes even cargo pockets. Fancy! Most hiking shorts are pretty lightweight, and they should be. No more than a few ounces. You should be able to move around in them without being weighed down. Being made with lightweight material allows them to dry faster, pick up fewer odors, and breathe better. All important qualities for hiking in hot weather. Some shorts are treated with DWR (Durable Water Repellent). This makes them water resistant, so it just beads right off your shorts instead of soaking through. 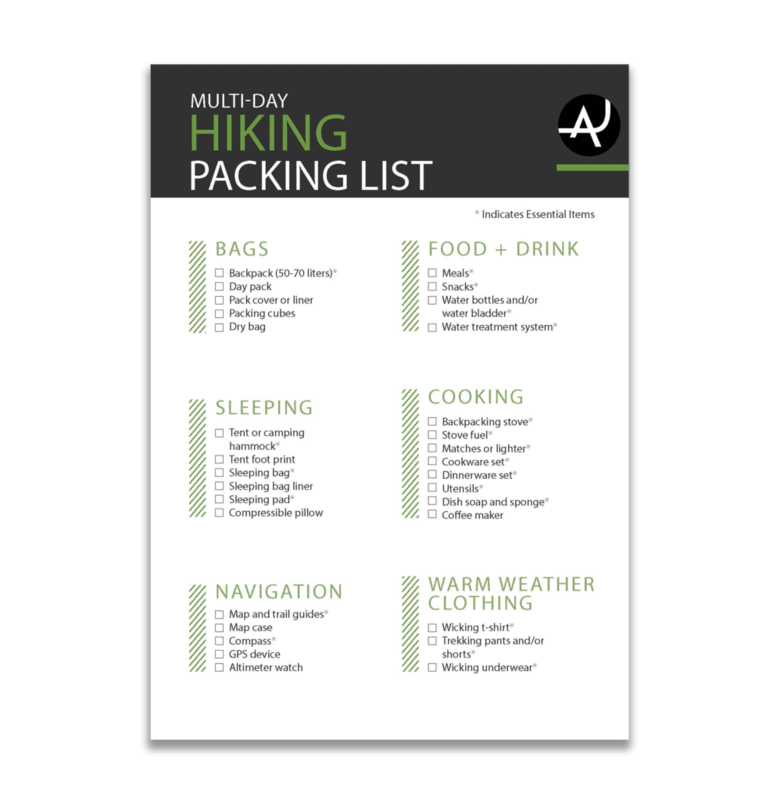 Useful for occasions when you might be in the mountains facing a summer monsoon. Shorts that are water or stain resistant might be a little bit heavier, but when it comes to shorts the difference is minor.